Arthi Enterprises is a leading name in the arena of safety nets and ropes for use in sports, construction/industrial, agriculture, mines, etc. 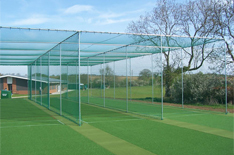 We are a reputed manufacturer, exporter, importer, trader and supplier of Nylon Nets, HDPE Safety Nets, PP Rope Safety Nets, Double Protection Nets, Heavy Ropes/Nets, Nylon Fishing Nets, HDPE Nylon Anti Birds Net, Anti Insects Net, Shading Nets, FRP Boats, Rooflite Sheets, Poly Films for Poly House (Agriculture), poly carbonate in various ranges like agricultural products and roofing for industrial warehouses, etc. In addition, we also distribute FRP raw materials, polyester resin, PU paints and allied products. We provide only the best in terms of quality and therefore no compromise is made on this front. Also, we ensure that all our products are available at competitive prices and reach our customers before the deadline. We look forward to complete customer satisfaction and hence always try and improve our products based on the valuable suggestions of our customers. At present our export market includes Dubai, USA, etc, albeit through a third party initiative. We import products from China and Korea.